Lucia comes from a family of wine-growers in Piedmont. Nevertheless, since she was very young she developed a passion for dance. She moved to Tuscany to improve her ballet technique and she danced in Florence for five years. In 2008 Lucia left her ballerina career, to pursue the winemaking dream. 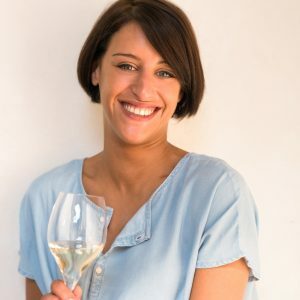 Lucia’s first encounter with wine, after her graduation in 2011, was in the heart of Chianti Classico where she worked for two years in many different sectors of production throughout the cellar and the lab. In 2013 she left her native country to travel and learn more about wines around the world. She spent the following three years working in wineries in New Zealand, California and France. Although she found great satisfaction working abroad, she felt the need to move back to Italy, to implement her skills there. She started working for Frescobaldi as winemaker at the beginning of 2016. As cellar master, Lucia leads our dedicated winemaking team, collaborating with wine growers from Italy's most renowned wine regions. Lucia continues to build on these long term relationships, many of them going back 20+ years, to ensure the quality of Danzante wines. By working with these wine growers, Lucia and her team is able to blend the best parts of each sourcing area, with the aim to guarantee the quality and style of Danzante wines. Lucia's blended passion for both dance and wine is in perfect harmony with Danzante's collection of Italian wines that capture the Italian passion for life.